Brighton’s curative waters have long attracted stressed-out city dwellers seeking to relax and recuperate. Brighton to bathe in – and imbibe – the local seawater, as recommended by the British physician Dr Richard Russell, who prescribed the waters of the south coast for all manner of curious ailments. The city’s modern identity as a foodie haven has brought a wide array of exciting cuisines, as well as coffee that’s as good as any found in a chic Italian espresso bar. Characterful cafés are now dotted throughout the city, like brightly coloured jewels in our beloved Prince Regent’s crown. Brighton’s freethinking populace favour locally owned, independent cafés. Unsurprisingly, there’s been resistance to the arrival of the American chain coffee shops that have already strong-armed their way onto high streets and suburbs around the country. 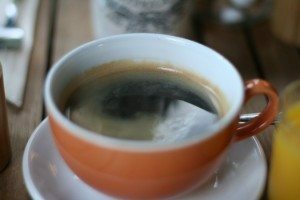 As a passionate free thinking coffee drinker who’s also keen to support local, home grown businesses, I’ve done my best to sample the wares in numerous cafés across the city. In my humble opinion there are a few that really stand out from the crowd. 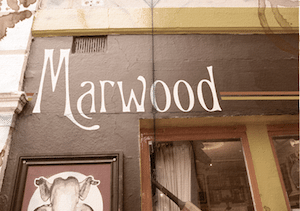 At The Marwood Coffee Shop, nestled into a cosy corner on Ship Street, you can mingle with Brighton’s cool and trendy cognoscenti while enjoying a cup of their “kick arse coffee” and a slice of their “life changing cake”. buzzy vibe of a New York speakeasy during prohibition. It’s Brighton’s number one hipster hangout and there’s nowhere else like it. Get down there, quick smart! Next door to Marwoods on Ship Street is Café Coho in a grade 11 listed building. 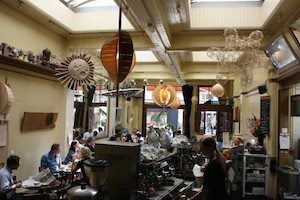 It’s a popular spot with coffee aficionados and with very good reason. The décor is much more minimalist than Marwoods – more reclaimed wood than vintage sofas. There’s also a branch on Queen’s Road, which is great for commuters in need of a morning caffeine fix. The upstairs room on Ship Street is available to hire for meetings and parties and, in addition to coffee, they serve decent hot breakfasts, a good selection of sandwiches and cakes and glasses of wine if you’re so inclined. Just a short stroll away from Ship Street, the Pavilion Gardens café has a location and view that’s hard to beat, especially during the May festival or on a sunny summer’s day. The quality of the teas, coffees and snacks could do with a make-over but it’s still a popular, much loved spot. If you’re feeling fussy, you could always pop around the corner to Small Batch on Jubilee Street and pick up a takeaway to enjoy on the grass in the gardens. Quality at the Small Batch Coffee Company is something they take seriously. Very seriously indeed. The central Brighton branch is located below MyHotel on Jubilee Street and there are other branches across Brighton and Hove, but this isn’t just any old chain of cafés. Small Batch is a roastery, with a top-notch approach to sustainability and fair trade. They roast small batches of coffee every day so that the beans (and your cuppa) are always fresh and never stale, hence the name Small Batch’. This is, arguably, the best coffee in Brighton. 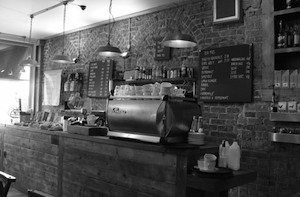 Another place guaranteed to serve you a quality cuppa is Redroaster on St James’s Street..
..the godfather of all independent cafes on the Brighton scene. Ideal for a lunchtime pick-me-up or an afternoon tea and cake with friends, this thriving café is a much-loved source of superb coffee. 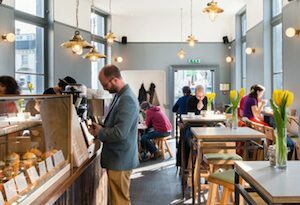 Taylor St Baristas on Queen’s Road is part of a chain but has built a loyal customer base for serving some of the tastiest coffee in Brighton sourced from Union Hand-Roasted. It’s also possible to drink your favourite with the deliciously creamy Bon Soy as an alternative to dairy, plus they do great food and snacks. Taylor’s is one of my favourite hang-outs in Brighton. Hand-Roasted as recommended by Taylor’s above, and take great pride in the flavour of the beans, the fairness of the trade with farmers and the happiness of their staff. All of this makes for a very appealing business model, with wonderful coffee thrown into the mix. A brilliant café combo! 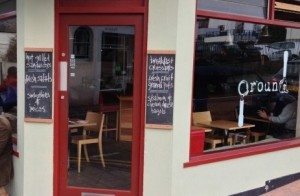 Last, but by no means least, is Moksha on York Place, which one the bronze award for Best Café in last year’s Brighton and Hove food awards. They serve their own blend of coffee and the team is friendly and knowledgeable. There’s something quite warm and peaceful about the place, which is inspired by the name. Moksha is Sanskrit for the “liberation of the spirit” – the realization of the pure self beyond time and space. So, if you feel like a dose of good karma along with your coffee, chill out at Moksha!